Group workshops & private coaching packages available. All events are held at Shadow's Sanctuary unless otherwise noted. Learn how to make your own Kimchi and/or Sauerkraut! Take home a jar of nature's probiotics. RSVP required to ensure sufficient quantity of supplies. Is losing weight or eating healthier one of your goals? Not sure where to begin? Hit a plateau? 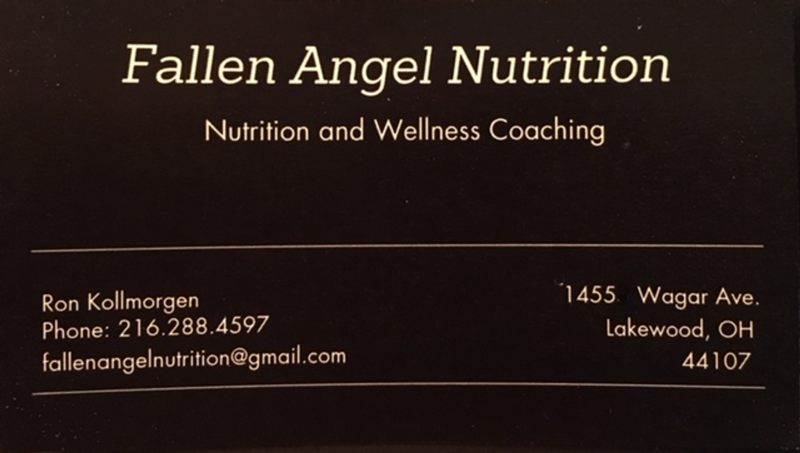 Stop in for a 15-20 minute personalized consultation with Ron from Fallen Angel Nutrition. Ron will be available for one on one consultations. Get personalized coaching around your health, weight & nutrition goals. Ketogenics De-mystified with Ron Kollmorgen. Keto-friendly refreshments will be served. RSVP is not required but appreciated. **Part of the NEW Positive Living Workshop Series!